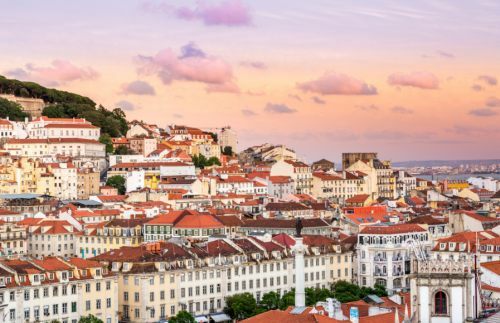 The Star Alliance has dropped the price of their May, June, and July 2018 flights from Seattle to Lisbon, Portugal down to $585 CAD roundtrip including taxes. The cheapest flights from Vancouver to Portugal on any dates in 2018 are going for around $1250 CAD roundtrip. Note: Portugal has an average high of around 28C to 30C in the summer. It can get pretty hot! Look for the dates that are around $647 roundtrip. Ideally, you should be able to find 1 stop flights with somewhere around 16 hours of travel time. Update @ 8:30 PM PST - These have disappeared already! It seems pretty quick, for what doesn't appear to be a mistake (considering how many Star Alliance deals from Seattle to Europe there have been lately). seattle, sea, europe, western europe, southern europe, lisbon, lis and portugal. One Response to "Seattle to Lisbon, Portugal - $585 CAD roundtrip including taxes | May, June, July, August travel"
Update @ 8:30 PM PST - These have disappeared already. It seems pretty quick, for what doesn't appear to be a mistake (considering how many Star Alliance deals from Seattle to Europe there have been lately).